Lying on the southerly coast of France and next to the world-famous French Riviera,Monte Carlo is close to many wonderful attractions. 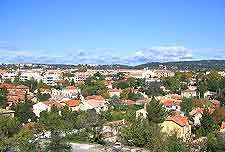 Aix en Provence lies around 196 km / 122 miles to the south-west of Monte Carlo, where it can be easily reached in just over two hours. 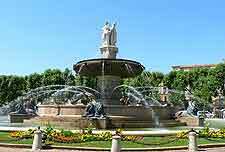 Filled with public squares, fountains and period architecture, the attractions of Aix en Provence are in good supply and quite varied. 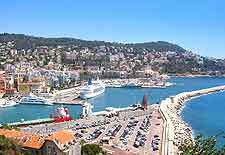 Located just 44 km / 27 miles to the south-west of Monte Carlo, Antibes and neighbouring Juan-les-Pins enjoy a scenic peninsula setting, overlooking the Mediterranean Sea from many different angles. Further attractions near to Monte Carlo include the French cities of Cannes, Marseille, Nice and Saint Tropez, while across the Italian border, you may also like to consider a day trip to Genoa. Around the city of Aix en Provence are no less than 200 gorgeous mansions, most of which date from the 17th and 18th century and boast Italian Baroque-style facades. Take a stroll along the 17th-century avenues of the Cours Mirabeau and look out for the sights along the way, including the Fontaine de Rotonde - a cast-iron fountain dating back to 1860. Many lively bars and cafes are clustered around the University of Aix-Marseille, which is home to some 30,000 students in total. Antibes is around an hour from Monte Carlo and is brimming with narrow cobbled alleyways. The central marketplace of Antibes is where much of the local action takes place, being known as the Place du General de Gaulle. The Musée Picasso (Picasso Museum) has long been one of Antibes most enticing attractions and is housed within a chateau once used as a studio by this acclaimed contemporary artist. Although Antibes does contain one very reasonable beach, the Plage de la Gravette, you will need to head next door to Juan-les-Pins for the region's best sandy beaches, particularly around the Boulevard Charles Guillaumont and the Boulevard Littoral. There is so much more to Cannes than simply its world-famous Film Festival, with a range of popular attractions awaiting, some 55 km / 34 miles to the south-west of Monte Carlo. The most noteworthy attractions in Cannes tend to be based around its spacious beaches, with the Plage du Martinez being a particular highlight. Alternatively, spend your time milling around the Boulevard de la Croisette, or shopping along the Rue d'Antibes. If you do come here for the Cannes Film Festival, then keep your eyes peeled for Hollywood movie stars and directors, who regularly come here each year each May, often arriving by yacht. The city of Genoa (Genova) lies over the border and within Italy itself, being around 179 km / 111 miles to the north-east of Monte Carlo. 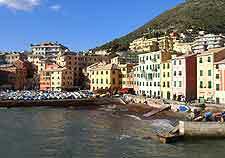 Those looking for a brief Italian excursion will find the attractions within Genoa hard to beat, with families always enjoying spending time at the Acquario (Aquarium) or exploring the Galeone Neptune pirate ship. The Porto Antico is an important local landmark and is pretty harbour is filled with notable restaurants, while those who prefer all things horticultural should not miss an afternoon at the Orto Botanico (Botanical Gardens). At around 225 km / 140 miles to the south-west of Monte Carlo, day trips to Marseille are really only popular if you are prepared for a very early start in the morning, although short breaks tend to be the best option, since there are so many attractions worth seeing in the city. Marseille is an especially cosmopolitan port city, with a huge amount of character and appeal. The boulevard known as La Canebière is the main thoroughfare in Marseille and leads towards the Boulevard d'Athènes, where the train station stands. Highlights in the city include the Cathedrale de la Nouvelle Major, Fort St. Jean, Fort St. Nicholas, the Palais du Pharo and also the very famous 16th-century Château d'If, where the French Revolutionary Comte de Mirabeau was incarcerated. Overflowing with elegant buildings and history, the small town of Menton is especially close to both Monte Carlo and the border with Italy. Menton has become very famous for its lemons and each February, the exciting Lemon Festival (Fete des Citrons) takes place, starting on Mardi Gras. The Promenade du Soleil leads towards the beachfront, which is a popular public beach, made up of small pebbles. The sandy beach of Plages des Sablettes is close by. The allure of Saint Tropez should not be overlooked and this very tempting beach resort is one of the main attractions on the famed French Riviera. 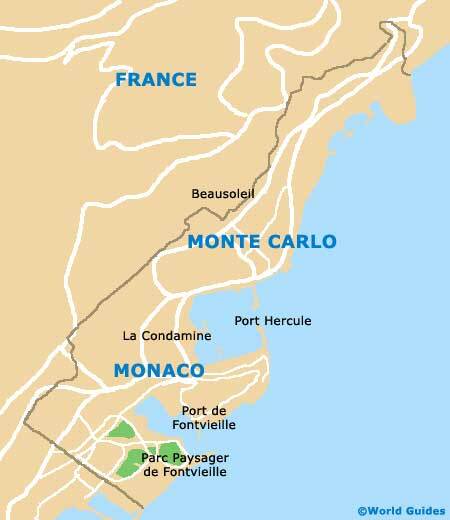 Those visiting Saint Tropez will find the sunny beaches are roughly 133 km / 83 miles to the south-west of Monte Carlo and next to the Baie de Pampelonne, where the Plage de Pampelonne (Pampelonne Beach) stretches for more than 5 km / 3 miles. Once you've soaked up the sun rays, you can cool down in the waters, where popular water sports range from scuba diving to windsurfing and even parasailing. One of the most historic parts of Saint Tropez is the Vieux Port (Old Port) area, where quayside restaurants await your business.